Belarus has also gained some international notoriety recently. American rapper has proclaimed his love for Belarusian culture by launching an accessory line. In more gruesome news, Belarus has been a gruesome discovery that old Jewish headstones were used as building materials back in the Soviet era. As 2014 comes to a close, the situation on the ground is becoming more volatile. Pressure on civil society has led to the expulsion of a prominent legal advocacy professional and a fine to a journalist for covering a local event commemorating a Belarusian author. The events in Ukraine continue to influence Belarus. Economically, Russia's sanctions against EU foodstuffs has led to stricter control on Belarusian food exports to Russia. Domestically, it has meant that Lukashenka enjoys greater public support than a year ago. All of this and more in this edition of the Western Press Digest. Legal Advocacy Leader Kicked Out of Belarus – Radio Free Europe/Radio Liberty reports that a Belarusian resident of 29 years was recently forced to leave the country. The police cited Yelena Tonkachyova for an alleged traffic violation and as a result she had her residency permit annulled. Tonkachyova, a citizen of the Russian Federation, runs the legal aid and advocacy group Lawtrend which opened in Minsk back in 1996. According to the RFE/RL report, Lawtrend "promotes freedom of expression, freedom of association, and the right of access to information, justice, and a fair trial." Reporter Fined for Covering News – Following his being detained by the authorities, a local court fined RFE/RL journalist Mikhal Karnevich $205 for illegally participating in a mass gathering. Karnevich was in a small Belarusian village for an event that celebrated Kastus Kalinovski, a 19th-century Belarusian political activist when the authorities detained him. The RFE/RL reporter, who has been fined before on similar charges, said that he was simply doing his job in covering the event. 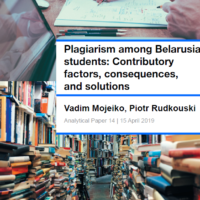 The RFE/RL article implies that these court rulings essentially mean that by covering an event as a journalist, the Belarusian authorities consider you a participant in the events. Famous American Rapper Snoop Dogg A Belarus Fan? – Snoop Dogg, one of the most iconic rappers in the world, has launched a Belarusian-inspired line of accessories for his online store according to a recent report by RFE/RL. The line of accessories include laptop cases, t-shirts and backpacks — all with images of traditional Belarusian embroidery. The US Rapper did not, however, come up with the idea all on his own, but rather contacted Belarusian art collective "Hoodgraff" to work on a possible collaboration. According to one member of Hoodgraff, Snoop Dogg had been following the group's art mural projects for a while now. Despite Hoodgraff's apparent rise in international popularity, they have not received the same warm welcome back home in Belarus. After trying to paint a mural of famous Belarusian writer and Lukashenka critic Vasil Bykau, the local authoraties levied the group with a heavy fine as a result they decided to seek greener pastures abroad in Russia. 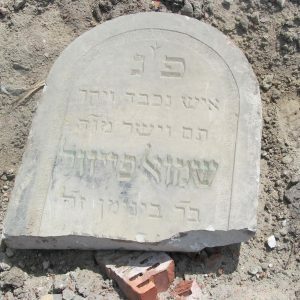 Jewish Headstones Used For Construction – VICE News recently reported a rather disturbing discovery by residents of Brest, a town in western Belarus. When construction began on a new local supermarket, the demolition of old housing revealed that the foundations of the buildings was built from old Jewish headstones. After the local Jewish community was devastated under Nazi Germany, the Soviets set about erasing much of the local community's history. According to VICE, in 1959 a Jewish cemetery the soviets destroyed in order to make room for a new sports stadium. They then recycyled the headstones. Construction on the supermarket has led to a rapid increase in the number of headstones discovered in the region over the past 6 years. Many of the tombstones now lay in the Brest Fortress, a symbolic monument to the Soviet's fight against Germany in World War II. At the moment different organisations are trying to find a way to collect all of the tombstones and ensure their preservation, though this work is only in its beginning stages. Russia Toughen Its Stance on Belarusian Meat Imports – In an ongoing trade war between the Customs Union partners, Russia has once again moved to restrict meat imports from Belarus. Reuters reports that the latest move by Moscow to clamp down on food imports from Belarus. This follows allegations that Belarusian exporters had falsely been labelling food products as being destined for Kazakhstan, but smuggled the into Russia. Minsk had earlier assured Russia that it would not import banned EU foodstuffs to enter Russia's market. 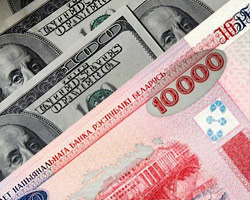 In order to ensure that the goods are not going to be sold within the Russian Federation, the Russian authorities will enforce more stringent control on the border. Recent Shake Up at Ministry of Defence – In a somewhat unexpected move, long-time Lukashenka ally Yury Zhadobin has been removed from his post as Minister of Defence. Zhadobin is a long-time insider and has been serving Lukashenka as head of the KGB and Minister of Defence since 2009. According to an interview from the RFE/RL, this may be a move by the government to modernise its defence forces in light of the developments in Ukraine. Belarus and Russia are close military allies, but the conflict in Ukraine has made the head of state weary of similar events unfolding at home. Ukraine Crisis Helping Lukashenka at Home – Businessweek is reporting that the ongoing conflict in Ukraine has actually worked in favour of Lukashenka. According to a recent poll conducted by the Independent Institute of Socio-Economic & Political Studies in Minsk, the Belarusian ruler has seen his approval ratings climb from 40% to 55% over the past year. Given Belarus's deep economic, military and political dependence on Russia, it may appear paradoxical that things for the authoritarian Belarusian president are on the upswing. Businessweek explains that there are three reasons for his improved position. First, Lukashenka has done a very good job at balancing the interests of the West, Russia and Ukraine throughout the conflict. Second, the chaos that Belarusians see as a result of Russian TV market saturation in Belarus has led many Belarusians to seek further assurances of security and stability as opposed to the chaos they view in Ukraine. Third, the opposition has been effectively neutralised for fears that if Lukashenka leaves, Belarus could become the next Crimea. Belarus Is Changing, but the West's Policy is Frozen – A recent analytical piece put out by the Carnegie Endownment for International Peace breaks down many of the West's misconceptions of modern Belarus. According to Balázs Jarábik, the West must be careful not to ignore the evolving reality on the ground in the isolated east european nation. The author of the article states clearly that while things are still in bad shape with civil rights, a restrictive business environment and the absence of a real political culture, things have been slowly, but surely, evolving. The West should respect this gradual change, as well as the regional dynamics, to adapt its policies towards Belarus accordingly.